When buying a property, the bulk of your cost will be the down payment. But you need to consider and have some extra funds on hand to complete the transaction. These are called your closing costs. As a rule of thumb, closing costs are usually about 2.0 percent to 3.5 per cent of the overall cost of the property. A lawyer will charge a fee for professional services involved in drafting the title deed, preparing the mortgage documents, and conducting various searches, including the title search before closing. Disbursements are out-of-pocket expenses incurred. They include registrations, searches, supplies, etc. These costs are subject to the Harmonized Sales Tax. When a property is transferred to your name, there is tax charged on closing. If purchasing in Ontario, you will need to account for the Provincial land transfer tax. In addition to the Provincial land transfer tax, purchasers of Toronto properties will incur a second land transfer tax. The calculations for these taxes are based on the purchase price. Read more about the Toronto Land Transfer tax here. 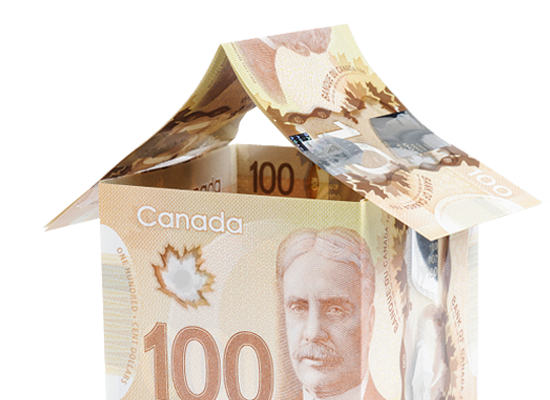 If your down payment is less than 20 per cent of the purchase price of the property, you must pay a one-time insurance premium on your mortgage amount. This insurance premium is subject to provincial tax (8 per cent) that must be paid at closing. This amount cannot be added to the mortgage amount. If the bank requires an appraisal to be done on the home for the purpose of determining or confirming the value, this cost is typically paid by the purchaser unless otherwise negotiated. These are costs that are adjusted in the Trust Ledger on closing. A common adjustment is the reimbursement of the portion of property taxes that the seller has paid for the year. SO WHAT ARE MY CLOSING COSTS? Each of these costs will vary depending on purchase price, home inspection service, and laywer. But as a rule of thumb, budget about 2.0 percent to 3.5 per cent of the purchase price to put towards closing day. For example, a home purchased for $550,000 will run from $11,000 - $19,250 in closing costs that are additional to the down payment.